Vocal, Music, Music Festival, Amritha, Murali. 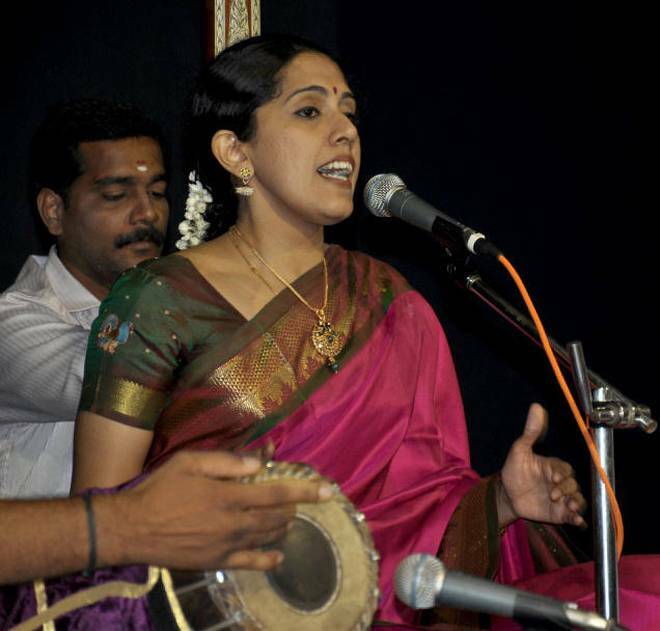 For Carnatic music aficionados thirsting for chaste rendering of the great compositions of its maestros and a musical imagination rooted in good aesthetics and orthodox vocalisation uncluttered by gimmickry, 28-year-old Amritha Murali is a godsend. 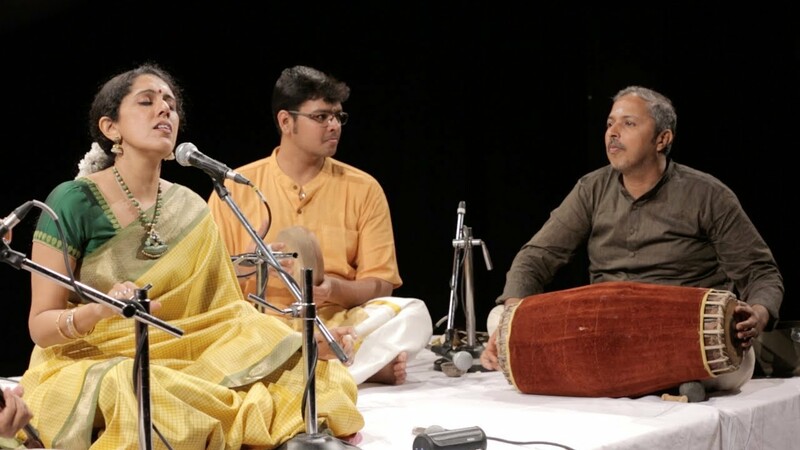 This promising young vocalist is an accomplished violinist as well, known to be the ideal accompanist—supportive and unobtrusive despite her virtuosity—and an appealing soloist, not to mention her excellent showing as an accompanist in the violin kutcheri-s of her guru T. Rukmini. 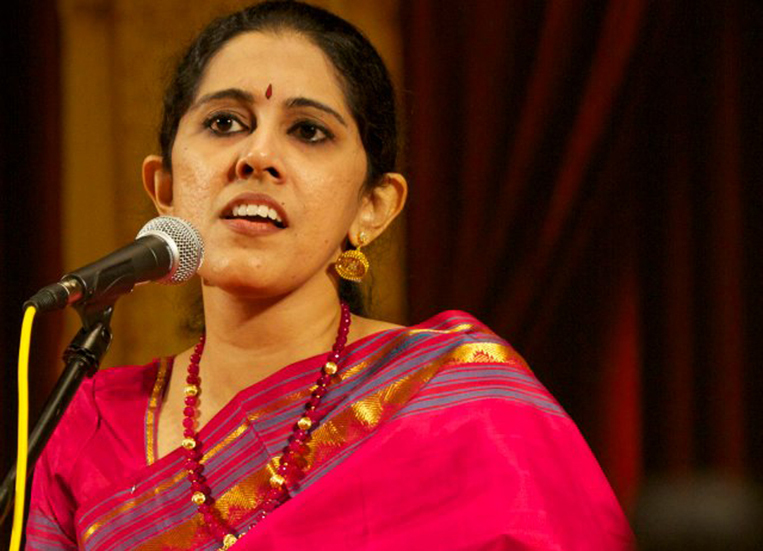 Belonging to a family deeply interested in Carnatic music—grandmother Sankari Nagarajan was a graded AIR vocalist—Amritha enjoys a pedigree that includes some outstanding guru-s in vocal music, the late K.R. Kedaranathan and Meera Kedaranathan prominent among them. While Rama Ravi of the Brinda-Muktha school has been another notable influence, Amritha has recently started training with P.S. Narayanaswamy. Amritha’s early violin learning was from Vitthal Ramamurthy, before she came under the tutelage of Rukmini. Visweswaran’s dance recital at Cleveland and other parts of the U.S.A.
A graded artist of All India Radio in both vocal and violin music by virtue of winning the All India Radio competition, Amritha is an alumnus of P.S. Senior Secondary School and Ethiraj College, Chennai. She holds a Masters degree in Finance Management. 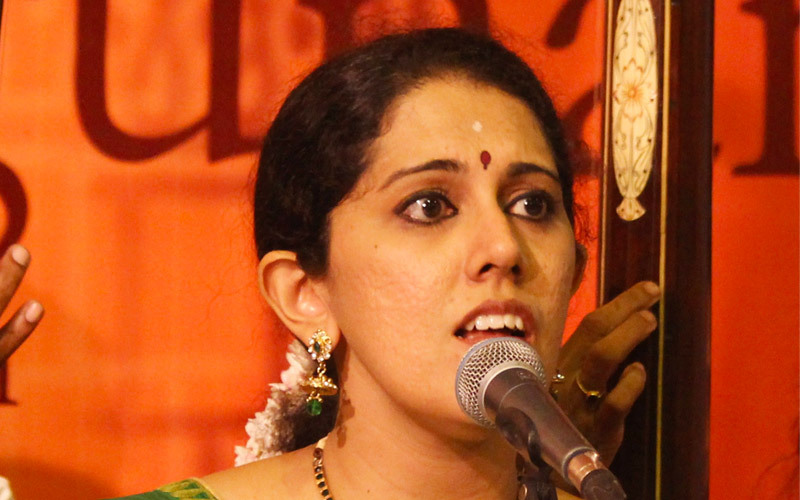 Her talent, her steady progress as a performing musician, ably guided by excellent teachers, and her level headed approach to life, promise a notable career in music for Amritha Murali in the years to come.